UCO Bank Recruitment CA 2015 : UCO (United Commercial Bank) has published recruitment notification on 100 post for Chartered Accountant. 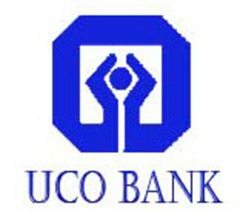 UCO bank provides you online vacancies of Clerk, Chartered Accountant etc. Applicant who are interested can apply through online mode before the last date 20.11.2015. You can also check the official notification to fulfill the eligibility criteria. United Commercial Bank invites candidate for filling 100 Chartered Accountant post. Interested candidate can apply for this post by visiting the official website www.ucobank.com. For more information like Education Qualification, Selection Process, Age Limit etc. see the details given below. 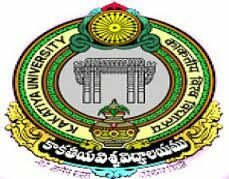 Education Qualification : Candidate should have passed Chartered Accountant (CA) Examination from the recognized University/ Institute. Age Limit : Minimum age of the candidate should be 21 years and Maximum age should be 35 years. Age relaxation should be 5 years for SC/ST category and 3 years for OBC category. Application Fee : Candidate who belongs to General/ OBC category need to pay Rs. 600/- and SC/ ST/ PWD category candidate need to pay Rs. 100/- . Payment should be done through the bill payment gateway. Pay Scale : Rs. 31705-1145/1-32850-1310/10-45950 will be paid to the candidate who are applying for the post of Chartered Accountant. Selection Process : Candidates will be shortlisted on the basis of their best performance in Personal Interview which is conducted by chairman and Managing Director. Log onto the official website www.ucobank.com and read the given instruction. Candidate should click on the apply online link and fill the application form with the asked details. Details mentioned by the candidate should be correct and uploaded photo should be clearly visible. Deposit the fee through the payment gateway and fee once deposited should not be refundable. After filling all the details candidate should recheck the application form. Send the form through Speed post/ Registered post on the prescribed address. UCO Bank Recruitment CA 2015 for 100 Chartered Accountant post. Last date for submission of online application form is on or before 20.11.2015.